Meanwhile, companies like Exxon Mobile continue to rake in record profits each year as a subsidies keep gas prices artificially low. Exxon highly publicizes the fact that the company’s taxes exceed their earnings, but fail to point out that most of those taxes are paid to foreign countries or are paid entirely by consumers at the gas pump. Tax breaks for the oil industry actually result in our Federal government paying them each year while they send taxes overseas. 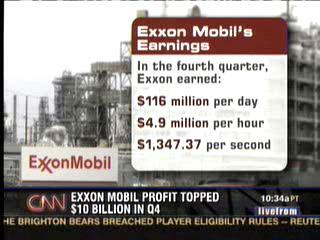 Exxon Mobil’s federal tax liability was -$156 million while its international taxes were $15.2 billion. 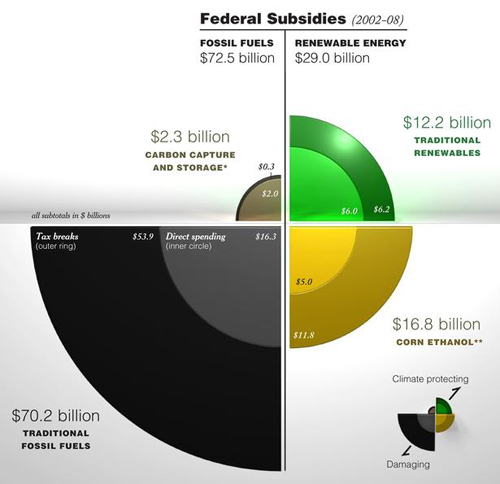 Will the Federal government cut off this Oil Industry welfare system? Obama received $884,000 from the oil and gas industry during the 2008 campaign, 2010 congressional candidates recieved $17 million, with political contributions since 1990 totaling $238.7 million. In return for its lobbying in the past the oil industry received $16.2 billion in tax subsidies in the Securing America’s Future Energy Act of 2001, while Presidents Clinton, Bush Senior, and Reagan also increased subsidies for Oil and Gas. House Democrats with Obama’s support want to end $40 billion in tax subsidies to the oil industry to cut another $4 billion a year from the federal deficit. 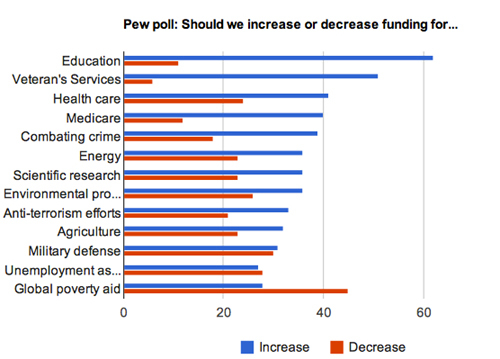 The only ray of hope in this debate is the fact that the Tea Party freshman are not yet beholden to the Oil and Gas industry, giving them the power to pressure their party into supporting this fiscally responsible move. Cutting science funding is easy, scientists are a quiet lot, cutting Oil subsidies isn’t, politicians would have to face trillions of dollars in protest, but it needs to be done if we are to have a fair and realistic energy market. You can see a sortable, filterable list of all Oil & Gas political contributions at OpenSecrets.org.